Alberta’s life sciences industry association; BioAlberta, hosted its 2018 awards gala in Calgary, September 24. 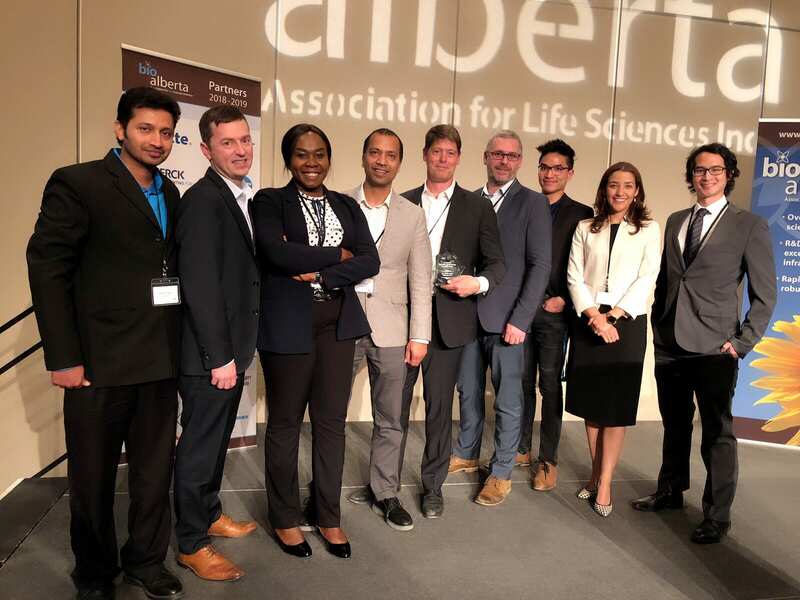 BioAlberta honoured Dr. John Lewis, the Frank and Carla Sojonky Chair in Prostate Cancer Research and an Associate Professor at the University of Alberta, with its Scientific Achievement and Innovation Award. The Scientific Achievement and Innovation award recognizes an individual or a team responsible for a breakthrough innovation with commercial application. John Lewis and his research team based with his spin-off company Nanostics Inc. developed ClarityDX Prostate, a blood test designed to accurately diagnose aggressive prostate cancer. ClarityDX Prostate will give clinicians and physicians another tool to help them and their patients decide to perform a biopsy, or not. When the test becomes commercially available it is expected to reduce the number of prostate biopsies by 50%. BioAlberta also gave out The Company of the Year award to Circle Cardiovascular Imaging Inc. for significant achievement within the marketplace and Alberta’s business community. It has developed technology to produce an innovative post-processing cardiovascular imaging solution to improve patient outcomes that provides fast, accurate and reproducible images to assist physicians in earlier diagnosis and treatment. More than 200 representatives from industry, the investment community, government and innovation support organizations attended the awards gala that was held in partnership with TEC Edmonton, and with generous event sponsors. Read more in this Financial Post article. 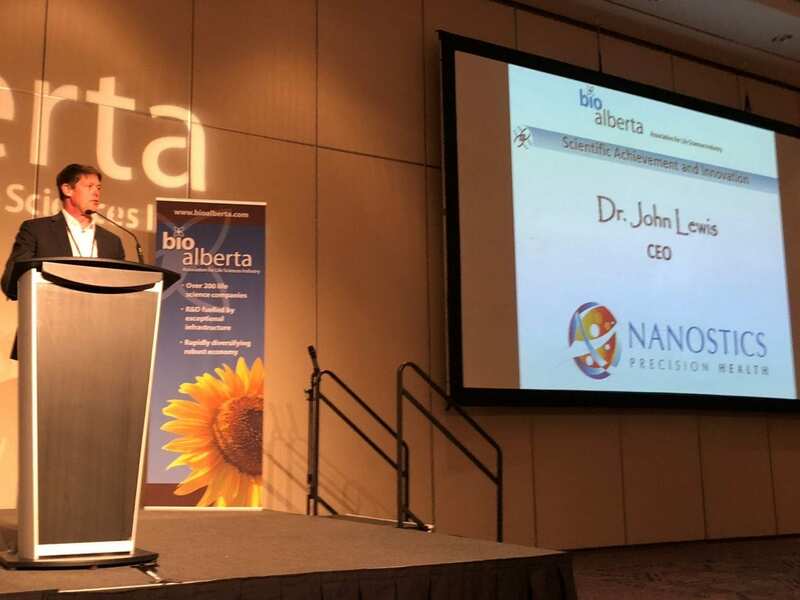 Congratulations to John Lewis on receiving BioAlberta’s Scientific Achievement and Innovation Award! To stay up to date on all the latest news and publications, subscribe to our newsletter!